This quick miso pork stir-fry is a chuck-it-all-in-the-pan kind of meal. Plus, it packs in two of your five-a-day in one brilliant bowlful. Heat the oil in a large frying pan or wok over a high heat. Add the pork mince and stir-fry for 5-6 minutes until browned and beginning to crisp. Add the miso paste and stir to combine. Stir in the leek and red cabbage and cook for 2-3 minutes, then add the carrot, noodles, soy sauce and sesame seeds. Toss together and cook for a further 2-3 minutes. 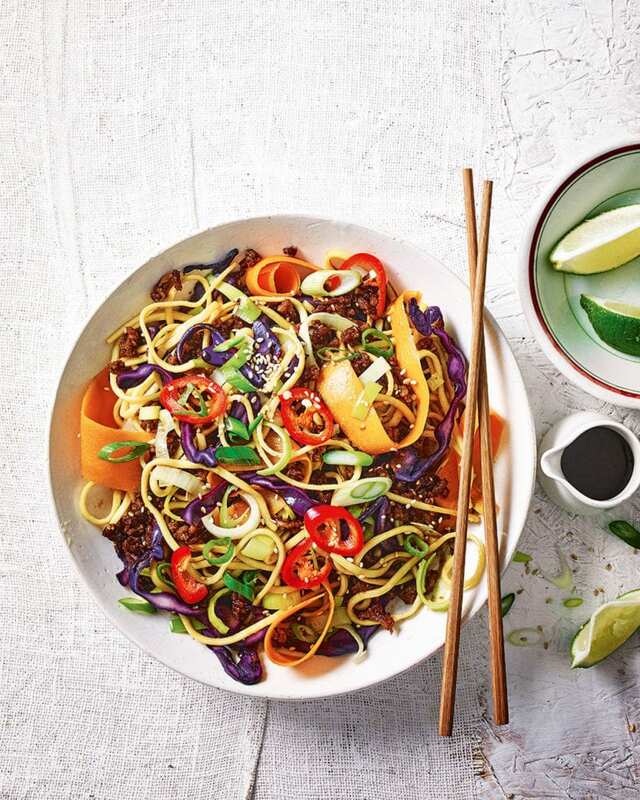 Divide the stir-fry among plates or bowls, garnish with sliced fresh chilli and spring onions and serve with lime wedges to squeeze over.